Ant-Man and the Wasp had an impressive opening weekend, debuting 33 percent higher than the first movie did two years ago in North America and 45 percent better overseas. The latest Marvel Cinematic Universe film earned $76 million domestically and raked in an additional $85 million overseas for a grand total of $161 million, which is higher than the studio had initially projected. On the other hand, Ant-Man opened in 2015 at $57 million. Disney and Marvel knew they had a hit on their hands when Ant-Man and the Wasp earned $11.5 million from Thursday night preview showings alone. Ant-Man and the Wasp is the 20th film in the Marvel Cinematic Universe, which has earned over $17 billion globally, making it the 7th biggest franchise in the world. The latest MCU production also continued the trend in topping the box office during its opening weekend, a feat that every movie in the MCU has accomplished. 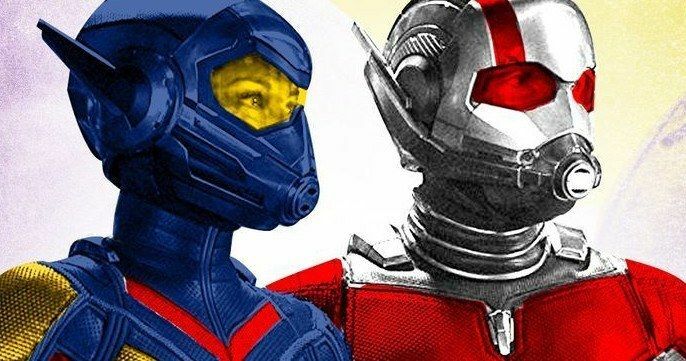 CinemaScore gave Ant-Man and the Wasp an A- and Rotten Tomatoes currently has the movie at an 86 percent Fresh Rating. Universal and Blumhouse's The First Purge debuted early on the 4th of July, getting a head start on the weekend, earning over $ 17 million with a grand total of $31 million, coming in 4th place. Another debut for the weekend is Roadside Attractions and Miramax's Whitney, which brought in $1.3 million from 452 locations for the 11th spot on the list. Sorry to Bother You also opened this weekend and earned over $717 thousand, giving it the 16th spot. The 2018 box office as a whole, which just hit $6.5 billion, is up 9 percent from last year, according to ComScore. Disney and Pixar's Incredibles 2 held tight to the 2nd spot, bringing in over $29 million, which brings the totals to $500 million domestically and $700 million worldwide. It's the first animated film to ever earn over $500 million at the North American box office, and the 12th film ever to pull off such a feat. Jurassic World: Fallen Kingdom took 3rd place with $28.5 million, bringing its worldwide take to just over a billion dollars. The film saw a 53 percent decrease in ticket sales when compared to last weekend, but is still bringing people to the movies to check out the dinosaurs and pump their fists. Elsewhere, Sony's Sicario: Day of the Soldado picked up another $7.3 million, taking the domestic tally to $35 million and rounding out the top 5. Uncle Drew took the number 6 spot this weekend, bringing in $6.6 million and Oceans 8 took the 7th spot with $5.2 million in its 5th week in theaters. Warner Bros.' Tag took 8th place this week with $3.1 million, while the Mister Rogers documentary Won't You be my Neighbor brought in an impressive $2.5 million, which is nearly 7 percent higher than last weekend. Finally, Deadpool 2 took the 10th spot this weekend with an additional $1.6 million, bringing the grand total to $727.7 million globally. Check out the rest of the box office numbers over at Box Office Mojo.